On Saturday, we went to this place I’ve been wanting to check out in Napa called di Rosa. It used to be called di Rosa Art Preserve or di Rosa Art, but now it’s simply called di Rosa. Dean didn’t like it so much, but I loved it. It’s the sprawling residence of an art-collecting couple who used the proceeds from selling their vineyard to expand their collection. It’s quite a tour surveying several galleries, their backyard meadow of sculptures (including my favorite artist Bryan Tedrick! ), and their home where every nook and cranny has a painting or art piece. 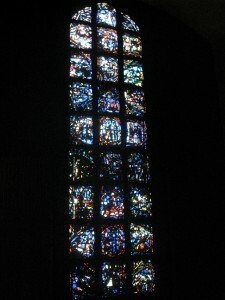 My favorite piece was a wall of stain glass windows. 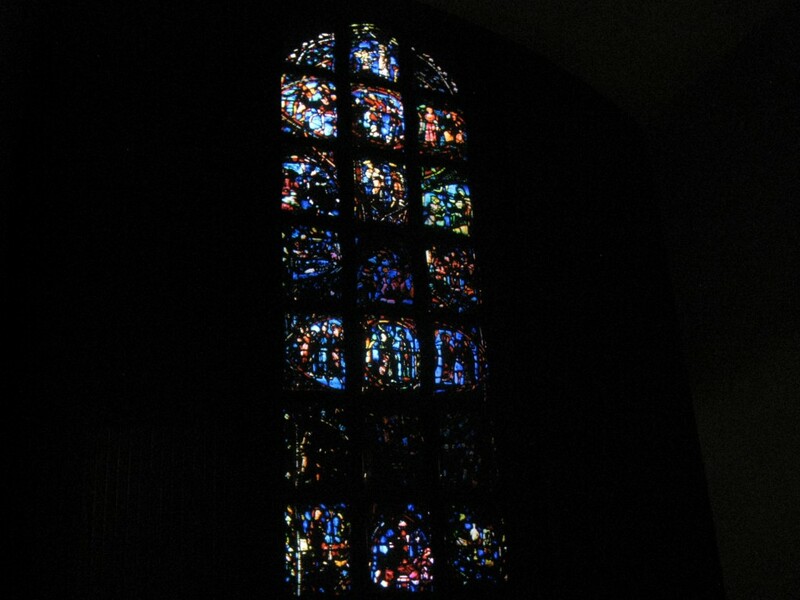 It showcased 12 hours of footage from a church in France sped up into 12 minutes. So you could see the effect of night and day. di Rosa reminds me of the Frick Collection which is my favorite museum in New York. 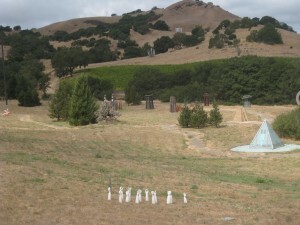 Frick is very classic whereas di Rosa is much more sprawling and the art is modern with a California twist.